My colleagues at Key Tech take great pleasure in the fact that I’ve spent years of my career designing blood testing devices, when I tend to faint at the sight of blood coming out of someone. Yet I persist. 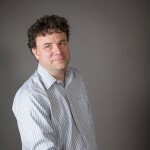 And I have learned, often the hard way, that there are unique challenges in designing devices and disposables that process blood (aside from my syncopal condition). I’m sharing a few of these lessons here as they might save you some bleeding down the road. So the assay requires a blood sample, but what type and from where? It’s important to understand at the outset of the design process which properties of the blood sample matter, the source of the blood, which anti-coagulants and stabilizers will be used, and how and when the blood will be collected. Blood is a living organism that changes constantly from the second it is collected, so care has to be taken to maintain relevant blood properties throughout the collection, storage and testing process. One simple example is lysing. In some applications, you must avoid lysing the red blood cells because you may want to measure the number of them, or you may need to filter them and their contents out. In other tests, the first step of the assay will be to lyse the red blood cells. This can make a big difference in how the blood can be handled within the disposable. Not only can cells be lysed unintentionally by high fluidic shear rates but many materials and chemistries used in disposables can cause cells to lyse over time. To keep blood from clotting on the way to the test, most collection devices include an anti-coagulant such as EDTA, sodium citrate or heparin. Pay attention to how the sample chemistry is affected by that additive. The type of anti-coagulant can also impact the effective concentration of the blood because some are added as a liquid while others are typically powders. Furthermore, in applications where the anti-coagulant will be reversed as part of the assay protocol, care must be taken when choosing container materials because the charge state of the material can initiate unwanted clotting. The form of the collection vessel is also very important. Blood is commonly collected in a broad variety of containers ranging from vacutainers to capillary tubes to custom containers. The container(s) will have a significant impact on the usability of the system, the amount of blood that can be practically tested, and even the consistency of the sample. For example, some assays need to be run with capillary blood, typically due to circumstances at the collection sites. Capillary blood is usually collected from finger sticks which limits the amount of blood that can be practically collected and generally results in greater variability in the sample as compared to venous blood draws. It can be surprisingly difficult to constrain the range of acceptable blood collection containers because, whether it’s capillary or venous blood, collection practices and the related containers will vary from clinic to clinic and from country to country. However, given the impact on the system design, knowing whether collection is capillary or venous and identifying acceptable container form(s) is critical to early de-risking. Another practical challenge is finding a supply of blood with appropriate characteristics for development work. While Amazon sells just about everything under the sun, you still cannot order blood from Amazon (can you imagine fleets of Amazon drones loaded with blood samples clouding the sky…). There are many contract labs that will collect blood and overnight it to you. These labs can be a good option if a 24 hour delay from collection to testing doesn’t degrade the relevant blood properties, and if it is practical to not test on Mondays. Significant lysis can occur over time in anti-coagulated blood and the red blood cells will also tend to aggregate in large clusters. If the delay is not acceptable or if anti-coagulants cannot be used, then it may be necessary to draw blood where and when the device testing will occur. While contract phlebotomists are a good option in these cases, it can take a long time to work out the logistics of IRB approval and subject recruitment. A hybrid approach, using imperfect overnight blood for some testing and real-time blood collection for property-specific testing, has proved valuable in speeding development work. It is attractive to conduct early tests with water or other non-biological material to avoid the biohazard and mess associated with blood testing. However, water can be a poor analog for blood. For example, blood has considerably lower surface tension than water, so capillary forces will be much weaker. This can be both good and bad, depending on how and whether the design relies on capillary forces for blood handling. Another big difference between water and blood is that blood froths very easily. Many disposable designs have been mothballed due to this property. Bubbling air through blood and pushing air through expansions that have already been wetted with blood should generally be avoided unless the assay method is insensitive to bloody bubbles. No matter how careful you are, you will probably experience blood spills many times during development. It can ruin your entire day if you destroy tens of thousands of dollars of prototypes because blood goes where it shouldn’t during testing. You also run a safety risk due to the potential for blood borne contaminants. Consequently, the disposable and device should be designed to minimize the chance of leaks, contain leaks when they do occur, and make recovery as easy as possible. Using negative pressure instead of positive pressure to move fluids within the disposable can greatly decrease the chance of leaks outside the disposable, but then hydrophobic filters should be used at the disposable – device interface to prevent sucking blood into the instrument. There may be blood on the outside of your disposable regardless of whether you spill. 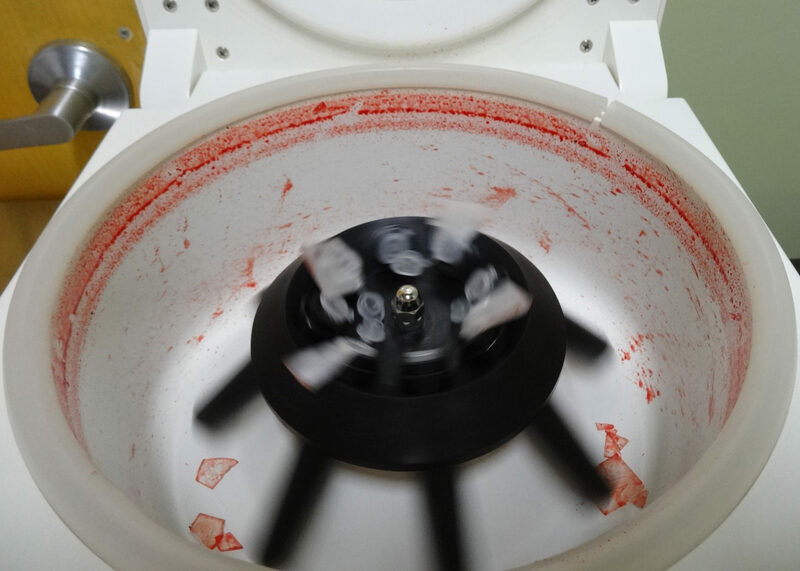 In some blood collection scenarios, some blood remains on the outside of the entry to the collection device, for example during wicking. In these cases, it is often advantageous to design the portion of the testing device that may contact the blood to be removable and tolerant to periodic soaking in a sanitizing solution. Blood is best left in people, but when you need to test blood a little forethought and planning can avoid a bloody mess. Reach out to us at Key Tech if you’d like help thinking through unique blood handling challenges and reducing the associated risks in your upcoming development plans.